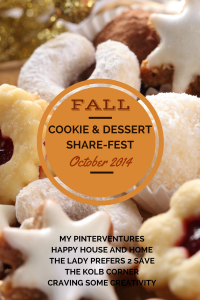 All through October, the other Merry Monday hosts and I are going to be sharing cookie and dessert recipes with you. Once a week, I will post a new dessert recipe for you. We have also opened up the sharing to our Merry Monday linkers to share their favorite cookie or dessert recipes at the Merry Monday Link Party. We will be adding your recipes to a separate linkup that is at the bottom of this page. We’ve also included all of the recipes the hosts are sharing so you can find them in one easy place. Make sure to come back each week to see what everyone is sharing! This past week I was really craving chocolate. Chocolate is, and always has been, my weakness. If it wasn’t bad for you to, I would live on chocolate. These black bottom cupcakes really hit the spot. 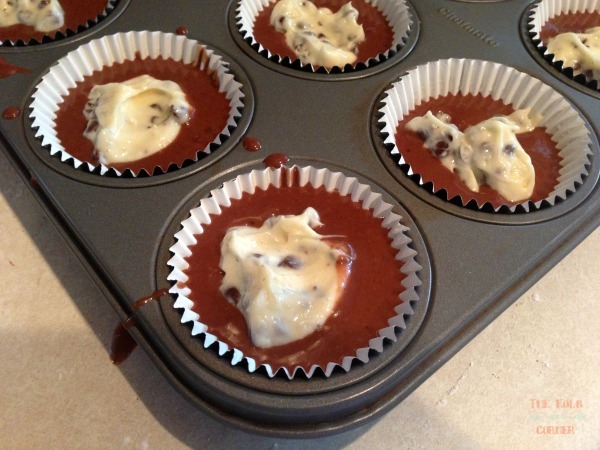 A mix of rich chocolate and cream cheese, they are the perfect combination! After all, who doesn’t love chocolate and cheesecake? These cupcakes are really rich, so you’ll want to pour yourself a tall glass of milk to accompany one. They really are pretty easy to make, so don’t let the recipe instructions scare you. There are just a few extra steps, and an extra dish or two, but these cupcakes really are worth the little bit of extra effort. 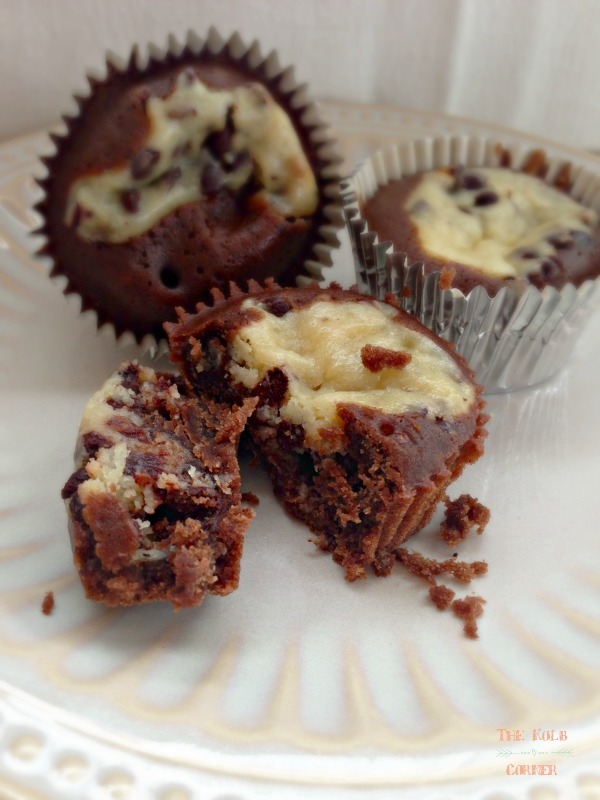 Fill your muffin tin liners about 1/3 of the way full with the chocolate batter. And just to make the pan more fun to clean, go ahead and dribble some batter all over it. While you’re at it, make sure to get some on the counters too. Then you add a dollop of the cream cheese filling. Mmm, delicious. Remember these will rise up some so you don’t want to over fill the muffin tins. If you want your cupcakes to be more chocolatey (and who wouldn’t?) you can add a smidge more chocolate batter over the cream cheese. Just remember, don’t over fill! You can serve these as is, or top with some whipped cream. Easy enough right? Preheat oven to 350. Line muffin pan with tins and grease. In a medium size bowl combine flour, sugar, cocoa powder, baking soda, and salt. Set aside. In a small bowl combine water, oil, vinegar, and vanilla. Stir wet ingredients in to dry ingredients and mix until smooth. 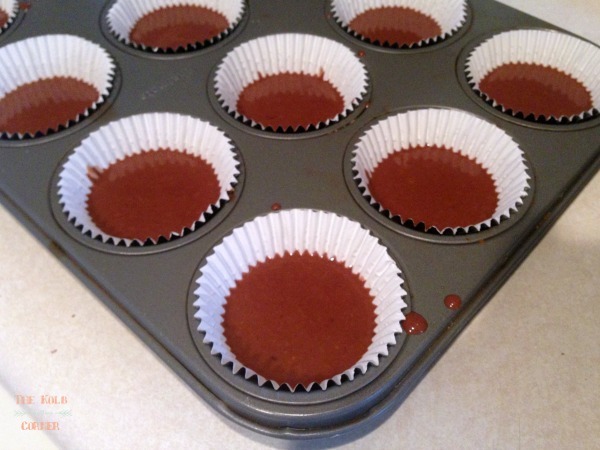 Fill cups 1/3 way full with chocolate batter. Set aside. Combine cream cheese, egg, sugar, and salt and mix until creamy. 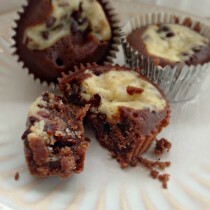 Place a heaping tablespoon of batter over chocolate batter in muffin cup. You should! Thanks for the pin!